You might have the best air conditioner on the market, but if you do not maintain it properly, you may as well have an old, malfunctioning unit. Proper AC maintenance in Fredericksburg is essential to keeping your home or office in good shape, both temperature-wise and even in terms of health. At Robert B. Payne, Inc., we offer several maintenance programs, as well as advice on how you can do a little upkeep yourself. Our team knows that these basic maintenance tips can help keep your system in good shape. If you really want to keep your AC unit running at maximum capacity, you should have one of our technicians perform a tune-up before summer hits. This ensures that the system is clean and free of any potential problems that could leave you in the lurch when the mercury starts to rise. Air conditioners have become standard home appliances. After all, no one wants to come home to a stifling house after a long day at work. This is especially true during the summer. It’s simply too hot outdoors. To keep your air conditioning system functioning properly, you need to maintain it. The manufacturers of most air conditioning systems recommend annual or bi-annual maintenance. Being proactive can save you money. At Robert B. Payne, Inc., we offer preventative maintenance plans designed to reduce the chance of repairs and increase efficiency. A well-maintained cooling system will operate more efficiently and last longer. Those are benefits that most homeowners can get behind. Our technicians will examine the entire system, clean each part as needed, and ensure that everything is in full working order. By catching problems early-on, we reduce the possibility of a costly repair down the line. A commercial air conditioning unit is vastly different than its domestic counterpart. They’re typically larger, with more internal systems. Furthermore, they usually have a vast network of ducts that work to deliver refreshing air throughout the office or complex. Due to their size, commercial air conditioning systems require thorough professional maintenance services. 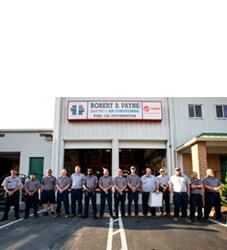 All of the technicians at Robert B. Payne, Inc. have experience, licensing, and insurance. We’ve worked on countless commercial systems to ensure their smooth operation, increase their lifespans, and improve their efficiency. At Robert B. Payne, Inc., we work to make sure your cooling unit stays in good shape all year. Most businesses want to save money, and our regular maintenance visits will allow us to identify and prevent problems before they affect your bottom line. Let’s work together to keep things running! In many homes, a properly functioning air conditioning system keeps things cool and comfortable. Most families even rely on their cooling system to elevate their moods, especially after a long, hot summer day. But if you don’t properly maintain your system, you may be forced to replace the unit or invest in costly repairs. It’s easiest, and most cost-effective, to simply spend some time maintaining your existing unit. First and foremost, you’ll want to change out the air filter of a cooling system. In a home that uses its cooling system extensively, the air filter should be replaced on a monthly basis. Replacing the filter can improve operation and lower energy consumption by up to 15% per month. You can also clean the outdoor unit to ensure it’s free of debris and dirt. If you’re unsure of how to clean the system, let a professional handle the task to prevent any damage. We offer a preventative maintenance program for business owners so you do not have to worry about an untimely breakdown. 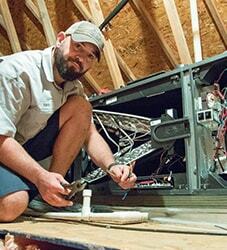 Our technicians can also help homeowners with seasonal tune-ups. To properly maintain your central air conditioner, consider hiring a professional HVAC company. In maintenance, the slightest misstep could lead to major problems. If you try to maintain your central air conditioner on your own, you might damage your entire system. Our experienced technicians will complete a comprehensive maintenance checklist. We can inspect the system, clean the wiring and mechanisms, and check for damage. Our highly-trained technicians have the tools to tackle any maintenance job. We leave no stone unturned in preventative maintenance. This saves you money in the long run, as a single missed step could lead to costly repairs. 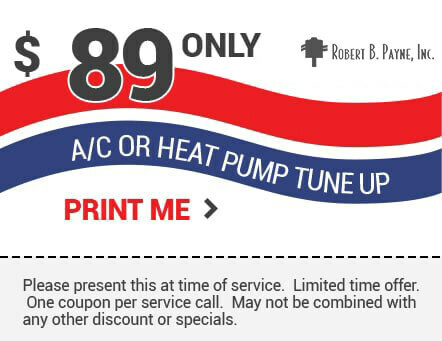 At Robert B. Payne, Inc., we commit to promptly and effectively maintaining your central air conditioner. 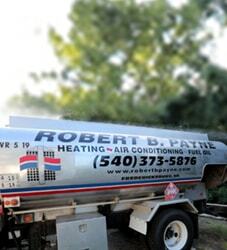 With more than 80 years of experience helping people stay cool, our team at Robert B. Payne, Inc., knows that our HVAC maintenance programs in Fredericksburg are key to preventing problems. To schedule an AC tune-up or request an estimate for your unit, fill out our contact form online or call us at (540) 373-5876.